The Election Commission of Pakistan (ECP) has made public the statistics relating to the final voters’ list which will now remain frozen till the General Election scheduled to be on July 25, 2018. Total number of registered voters counted as of April 30, 2018 has reached an all-time high of 105.96 million. Not only the total number of registered voters is all-time high, the percentage of population which is now registered as voters has also reached the highest ever at 51 percentage. In 2013, this percentage was less than 47%. The most striking feature, though not necessarily a new one, is the high number of young voters. Of the six age groups for which the ECP has given breakdown of voters, the highest number of voters belong to age 26-35 which is almost 29 million or over 27% of the total votes. Combine this with about 17.5 million (17% of the total) voters of 18-25 age group and we get around 46 million voters of 35 and under making youth as formidable 44% of the total voters. This percentage is even more pronounced in the case of FATA and KP where young voters account for 53% and 48% respectively. Sindh at 41% seems to have the lowest percentage of young voters followed by Islamabad capital territory (42%) and Punjab (43%). Balochistan has 46% of young voters which is just above the national average. This high representation of youth in the registered voters gives them a huge clout to push the political parties to adapt their election manifestoes and subsequent government policies to their needs. Unfortunately, youth does not turn out to vote in equally impressive numbers. 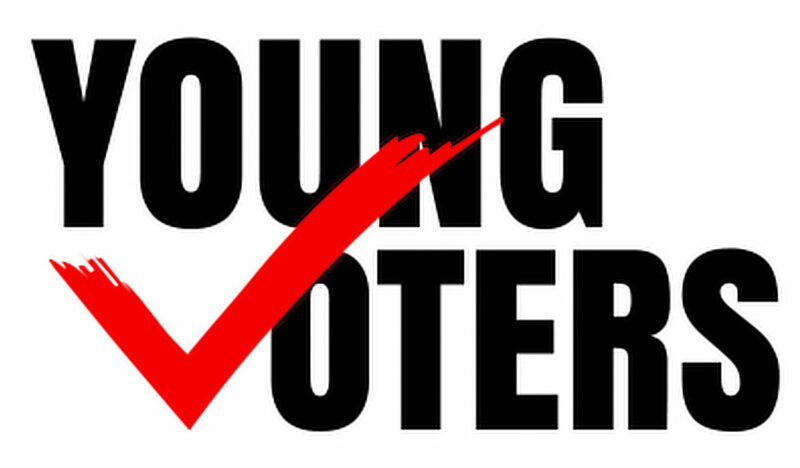 Although, official figures are not available, Gallup did an exit poll in 2013 General Election which indicated that youth (Age 18 to 29) voter turn-out was an abysmal 26% which is less than half of the overall voter turn-out of 55%. Although young people in general around the world are known to be less enthusiastic about electoral activity, it is exceptionally low in Pakistan. At least one finding of the recently-released UNDP Pakistan Human Development Report may explain this level of disinterest exhibited by youth: only 24% youth puts their trust in politicians – better only than patwaris which is at 20% and in stark contrast to teachers who command trust of over 80% young people. Good News, however, is that despite this low level of trust in politicians, 90% of young men and 55% young women intend to vote in 2018 General Election. Even if half of these intended voters turn up at the polling stations on July 25, it will tremendously boost youth’s voter turn-out – and clout – and force political parties to attend to their needs. Improve quality of candidates: They must improve the quality of their candidates in terms of their education, competence, integrity and reputation so that youth’s trust in politicians may improve. Rank improvement of quality of education high in your policies: Youth is most worried about the quality of the education they are receiving as they feel this does not prepare them well for the markets. Political parties must have a plan with costing and sources of funding to improve the quality of education to make it relevant and desirable for the market. Unemployment is a huge worry of the youth: Youth is worried about the low rate of employment. Political parties must have a realistic and credible plan –again with costing and budget- to address unemployment. Plan to provide recreational facilities for youth: The UNDP survey indicates that 93% of youth do not have access to play grounds; 94 % lack access to a library; a full 78 % do not have a park to go to and 72% youth does not have access to any of these facilities of leisure and entertainment. Political parties need to focus on providing these facilities in each neighbourhood, with special attention to poor areas. Talk to Youth: Youth also feels that they are not being heard. Political parties need to engage with youth, hold dialogue with them and give them a feeling that they are being heard. Such institutions as Students Unions, Model UNs and Youth Parliament should be supported besides making it easy for youth to join a political party.